The National Day of Prayer is set for this Thursday, May 7, 2015. The theme for this year is Lord, Hear Our Cry, which emphasizes "the need for individuals, corporately and individually, to place their faith in the unfailing character of their Creator, who is sovereign over all governments, authorities, and men." I encourage you to get onto the WEBSITE and learn more about what this day of prayer is all about. 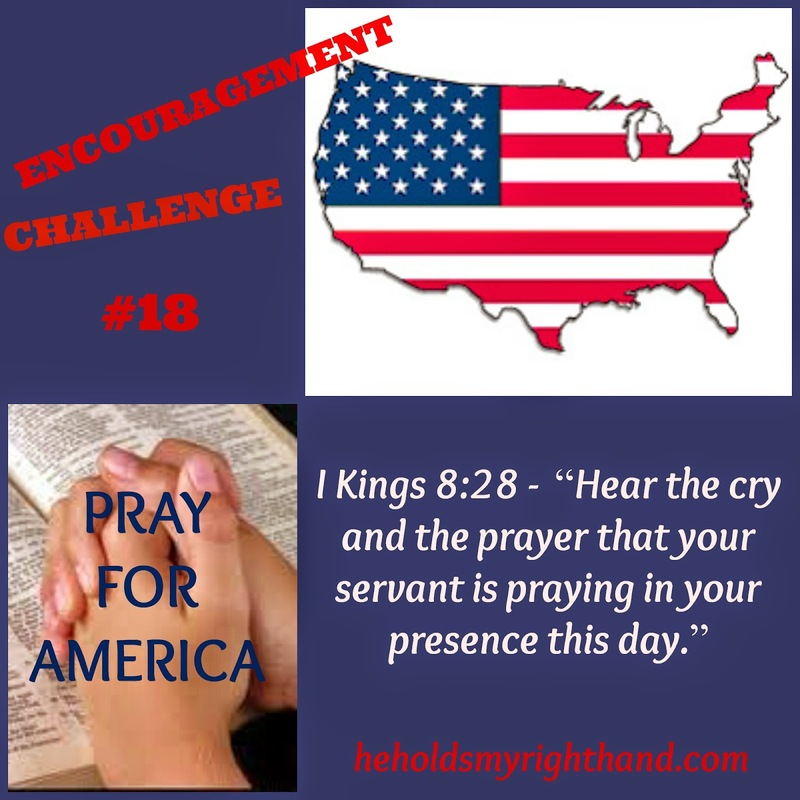 Then, click the link below to learn HOW you can pray for America. There are several links on this page where you can download a FREE prayer guide, or you can choose some other way to get involved in this National Day of Prayer.